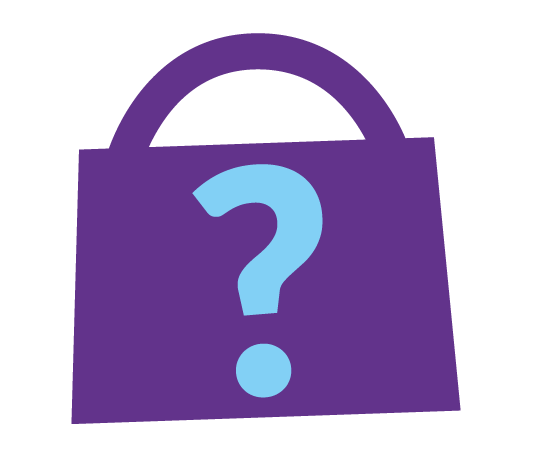 Mystery Shopping | Here's everything you need to know to get started! Mystery Shopping is all about discovering the quality of service customers receive. It is a vital tool that enables our clients to understand how their staff interact with customers on a day-to-day basis. They can assess how effective their training programs have been and whether staff are following the guidelines set out in that training. As a mystery shopper you will pose as a normal customer, enacting a typical scenario and providing feedback on the service you experienced. Your findings are then proofed and collated by us and passed on to the client. Your feedback should provide the client with a clear, accurate and complete picture of your customer experience. As well as answering specific questions, you may also be asked for your own personal viewpoint. Your comments should always be objective and a fair reflection of your experience. As a Mystery Shopper your findings are the foundation of what we do, so it is essential that your work is carried out to the highest standard. Be realistic when accepting an assignment and do not commit to anything if it puts you under pressure to complete it in the agreed timescale. Do what you have agreed to do - unreliable mystery shoppers can jeopardise a whole project. If you have a problem, it is vital that you contact us immediately, we can then work with you to find a solution. Once you have completed a project you will need to ensure your bank details have been added to your profile, or you have invoiced us within 2 months of completion of the project, otherwise you will be no longer able to claim payment for any projects. The fixed fee together with any agreed additional expenses will be paid within 28 days of approval. You will be paid by BACS or cheque depending on the project. Never guess or fabricate answers – always go back and check or tell us immediately if you have missed something. Discrepancies will be noticed by the client and undermine the credibility of your answers. The identity of a Mystery Shopper must always remain a mystery and should never be revealed during a visit. Always act like a genuine customer and show interest and excitement in the products/services on offer. DO NOT give a running commentary on what is happening or comment on the appearance or performance of the store or staff in relation to the mystery shop as you may be overheard. It is important that you enact your scenario in a natural, convincing manner. In most assignments you will provide your feedback on a questionnaire that will be accessed via our online system. It is important that you read through the brief and questionnaire before your visit. This will give you an understanding of what the client is looking to measure during your visit and prevent you prompting staff to do things they are being measured on. It is helpful to print off a copy of the brief and questionnaire to complete by hand straight after your visit, while the details are still fresh in your memory. This should obviously be done out of sight of the location and staff and transferred onto the online system when you return home. When completing your report, use sentence case when typing your comments (lower case with capitals at the start of each sentence). Remember to Spell Check your report before sending it to us. All questionnaires must be submitted by 9am the morning after your visit to confirm that your visit has been completed. Failure to send in your Questionnaire may result in the visit being reassigned to another shopper. If you have any issues with your report on the online system, please email us at projects@yomdel.com or call 01403 230650. All questionnaires are proof-checked on receipt and may be returned for correction or completion. Any questionnaires that are not submitted or sent to us as a printed hard copy, will incur a deduction to your fee of £5. Need help with the Online System? Once you have completed a project you will need to ensure your bank details have been added to your profile within 2 months of completion of the project, otherwise you will be no longer able to claim payment for any projects. We pay by BACS within 28 working days after approval of your project. Video visits involve covertly recording footage of the sales staff and store environment during your experience using a hidden camera. Your footage must meet the demands of our clients who expect a minimum of 80% facial shots in the coverage of the salesperson during any interaction you have with them. All of your interaction with staff must be conducted in English. They may speak to you in another language that you have in common, but you must respond in English as their manager/trainer may not speak another language and they must be able to understand what is said during your interaction. Do not use offensive swear words or make racist/sexist/homophobic comments while inside the store. Any footage containing such language will be rejected and you will not be paid for the visit. For shoppers using covert video equipment that we have provided it is absolutely essential that you do at least 5 minutes recorded practice before your first visit. Guidelines are included on how to practice to ensure you achieve the best results. You must also follow the Video Guidelines provided at all times. Do not put loose items (i.e. keys) or drinks/water bottles in the video handbag/pocket when conducting the visits. You must post back the equipment no later than the date that has been agreed. Any delays in posting back to us has significant issues for the next mystery shopper receiving your equipment and we reserve the right to make deductions from your fee to cover Premium Delivery to get it out to them on time. DO NOT return any marketing materials unless you have been specifically asked to do so, as this may increase your postage costs. You must always start a recording before you enter the store and must not stop the recording until you have left the store. Footage that starts inside the store or ends before you have left the store may be unusable so it is vital you adhere to this. On the rare occasion that video footage is unusable the whole visit will be deemed void so any Questionnaire or other feedback for that visit will be unusable as well. Mystery shoppers using their own video equipment must also remove any date/time/counter stamp, unless we have specifically asked you to include this. Completed footage must be sent by a secure means, as agreed with the Company. All Projects may have the need for you to provide your Personal Data (such as your Name, Address, Email and Phone – this list is not exhaustive). By accepting any Project, you accept that your Personal Data may be captured/recorded by the Client for the purposes of the authenticity of the Project. You agree that upon completion of any Project you are required to notify us of any Personal Data that you have used as part of the Project. We will acknowledge receipt of these notifications from you, within 3 working days.